Philip Swatman is a Chartered Accountant. After an early career at KPMG in London and the National Enterprise Board he joined Rothschild in 1979. He spent 29 years with Rothschild, specializing in mergers and acquisitions, becoming Co-Head of Investment Banking and subsequently a Vice Chairman. 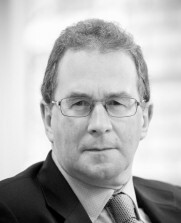 He retired in 2008 and is a director of a number of public and private companies, is Chairman of Eddie Stobart Logistics plc and Cranborne Chase Asset Finance Limited and a senior adviser to Capstan Capital, having previously been a non executive director of both Atrium Underwriting and Alfred McAlpine. Mark has over 20 years automotive retail experience and is considered to be a highly experienced executive from the automotive dealership sector. 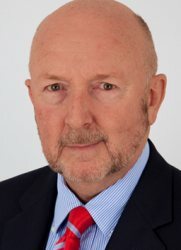 He was the Group Operations Director of Hartwell PLC from 2001 to 2003, an Operations Board Director of Reg Vardy PLC from 2003 to 2004 and became the founder and CEO of Cambria in 2006. James graduated from Manchester University with a BA in Accounting and Finance, he then qualified as a Chartered Accountant (ACA) in 2001 and passed the Joint Insolvency Examination Board (JIEB) exams in 2005. 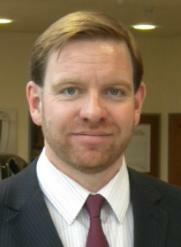 James spent 8 years with Grant Thornton in their automotive service team before joining Cambria in May 2007. 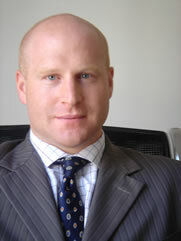 James has significant experience in corporate finance, restructuring and due diligence in the automotive retail sector. 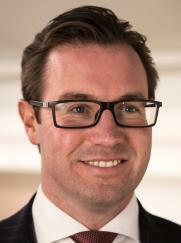 Michael began his private equity career at Dresdner Kleinwort Capital. In 1999 Michael joined Ellerman Investments, the UK investment management company of Sir David and Sir Frederick Barclay. While at Ellerman, Michael was heavily involved in the acquisition of Littlewoods plc and GUS's Home Shopping division gaining significant experience in both acquisitions and turnaround ventures. Michael left Ellerman in 2004 and joined Collins Stewart before leaving to become a member of Promethean Investments LLP. Tim has over 22 years experience in the retail motor industry having joined Hartwell PLC in 1994 on their graduate programme, working through the Group to the position of Fleet Director during the 10 years. 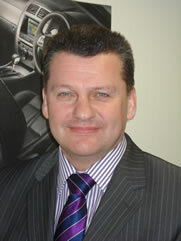 In 2004 Tim moved to Inchcape plc as the Volkswagen Franchise Director before joining Cambria in October 2008 as the Operations Board Managing Director. Tim is now the Motor Division Managing Director having joined the Cambria Automobiles plc Board of Directors in September 2016. Paul has a detailed and extensive level of knowledge of the motor retail industry, acquired from over 30 years in the business. He was most recently Head of Projects at Lloyds Banking Group, where he was responsible for promoting the Black Horse Consumer Finance brand across the Group, leading new business initiatives and recruiting key individuals to the business. He also served as Head of Motor Finance (South) at Black Horse, a position he held from 2009 until April 2016. Prior to these roles, Paul was Head of Distribution at Bank of Scotland Dealer Finance for 18 years where he was responsible for an external sales force of approximately 150 home based sales and sales managers. William is currently a Partner at King & Spalding International in the Corporate practice, a position he has held for over four years. 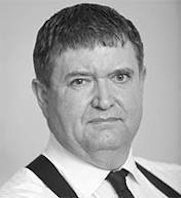 William has over 20 years' experience in public and private mergers and acquisitions, disposals, flotations, private equity transactions and general corporate and securities advice. William has a high level of knowledge of both the motor retail sector and Cambria as he advised Cambria on the Group's IPO on AIM in 2010. He also served as a Non-Executive Director at CD Bramall plc for four years prior to it being acquired in 2004, before joining the Board of Lookers plc as an alternate Non-Executive Director from 2006 to 2008. William is a Fellow of the Institute of Chartered Secretaries and Administrators and of Hughes Hall, University of Cambridge. The Company has established an Audit Committee, a Remuneration Committee and a Nomination Committee. The Nomination Committee comprises Philip Swatman (as chairman), Paul McGill and William Charnley. It is responsible for reviewing the structure, size and composition of the Board, preparing a description of the role and capabilities required for a particular appointment and identifying and nominating candidates to fill Board positions as and when they arise.